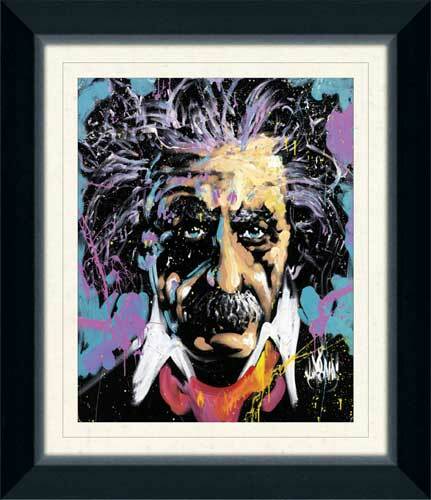 This fine framed artwork by David Garibaldi depicting Albert Einstein has a faux canvas treatment, recreating the original canvas look. It is finished in a gorgeous 2" black contemporary frame. This canvassed artwork is complimented with a textured white-speckled mat, creating an upscale appearance and added value.